Kier has been appointed preferred bidder to design and build a new £50M residential tower on Greenwich Peninsula by Knight Dragon Developments. The project will see the firm design and construct 224 luxury apartments arranged in four blocks, anchored by a 24 storey tower. This development is set to be among the first built on the Greenwich Peninsula as part of one of the largest regeneration schemes in Europe. Kier pre-construction director Chris Dyer said: “We are delighted to be working with Knight Dragon at Greenwich Peninsula. It will be a critical regeneration project for London, providing much needed high quality housing, alongside leisure, retail and commercial space, to create a vibrant new district for the city. Knight Dragon Developments head of project management Paul Symons said: “This contract award marks yet another milestone in the landmark Greenwich Peninsula scheme, and we are delighted to have appointed Kier to undertake the build of this particular plot. 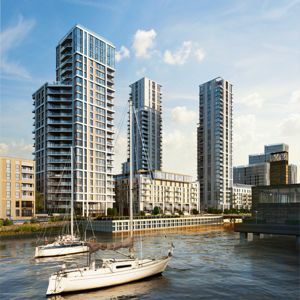 Contractors Wates and GB Building have also secured major building projects at the Greenwich Peninsula site. The overall redevelopment of the area will include over 160 acres of new residential, business and leisure space with nearly two miles of river frontage. By 2039 this will see more than 60 new development plots created by Knight Dragon, delivering over 10,000 new homes for up to 23,000 residents.